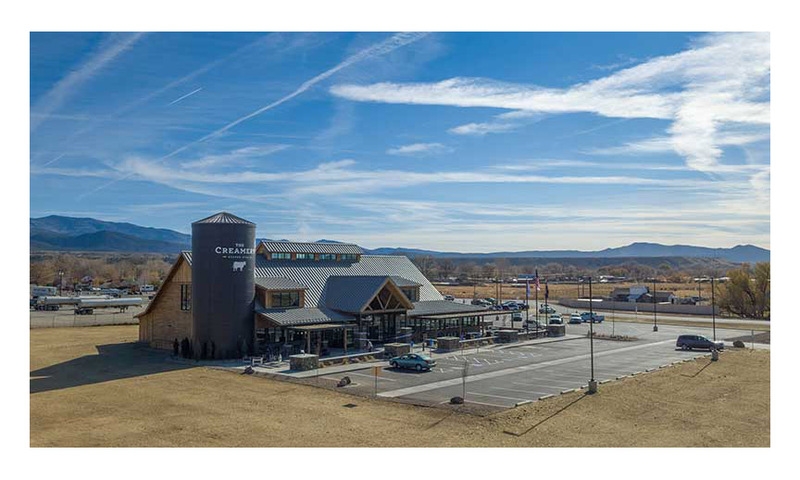 Dairy Farmers of America (DFA), a national cooperative owned by family farmers, opened the doors of its newly reimagined retail store, full-service café and interactive experience, The Creamery, in Beaver, Utah, in mid-November. The 11,250-s.f. 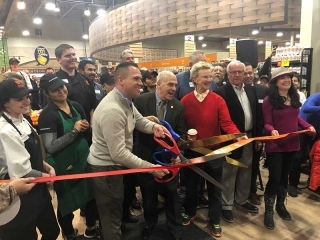 store, located midway between Las Vegas, Nevada, and Salt Lake City, Utah, along Interstate 15, is more than four times the size of the original store it replaces and features expanded retail space, greater product selection and an interactive, educational experience about dairy. “The store’s interior combines modern, clean lines with rustic touches for a welcoming and natural feel,” says DFA. 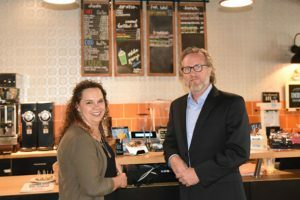 The Creamery builds upon the success of the previous location one block away and will offer a variety of dairy products, including cheese curds, hand-crafted cheeses, ice cream and branded merchandise. The new concept also features a full-service café serving breakfast and lunch. Menu items will include fresh-made sandwiches and other dairy-based selections showcasing the local cheeses made at the adjacent DFA Beaver City plant, which was built by dairy farmers and has been a part of the region’s history for more than 60 years. With the new location’s increased footprint and greater visibility from the nearby interstate, The Creamery expects to drastically increase daily visitors and make itself a routine stop for those traveling by. 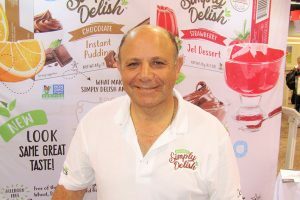 As a result of the expected growth, The Creamery has added seven new employees and anticipates additional hiring to accommodate continued growth and seasonal needs. For those unable to travel to the store, DFA has launched an online marketplace where visitors will find a variety of dairy products and gift boxes.